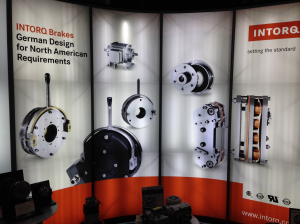 Come visit Intorq at booth 1821 at ProMat 2015 from Monday, March 23 to Thursday, March 26 at Chicago’s McCormick Place. At the show, we’ll have our complete line of brakes and clutches on display, including several specialty products for applications in the forklift truck, hoist and material handling industries. Our executive management team and industry experts will be on hand for the entire show to answer any question you may have. They’ll show you how Intorq can solve your application problems and provide the best-quality brakes and clutches on the market. Stop by booth 1821 or contact Ken Mueck at [email protected] to schedule an appointment.